When I'm not doing witchy things, one of my hobbies is playing board games and card games. The weather was so grim over the recent bank holiday that my hubby and I spent a lot of time indoors doing just that. One that we played was Dark Gothic - a co-operative card game in which the players are monster-hunting heroes. For the setting, think the Legend of Sleepy Hollow. 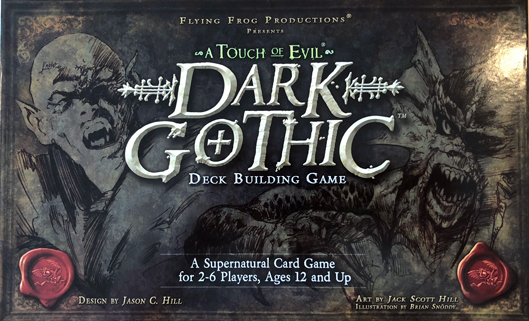 I really like Dark Gothic, but this blog post isn't so much a review as the start of a look at how witches are represented in games. What got me thinking about that subject is that Dark Gothic has a card representing an ally who is a witch hunter. You can see her in the photo on the right. After we'd finished playing, I looked through the decks of cards to see if there were actually any witches in the game for the hunter to catch. The answer was no. I found classic horror baddies including werewolves and a spectral horseman, but no witches. There weren't any witches among the allies either. Now, that's possibly a good representation of the history of witch trials; plenty of witch hunters, but few real witches. 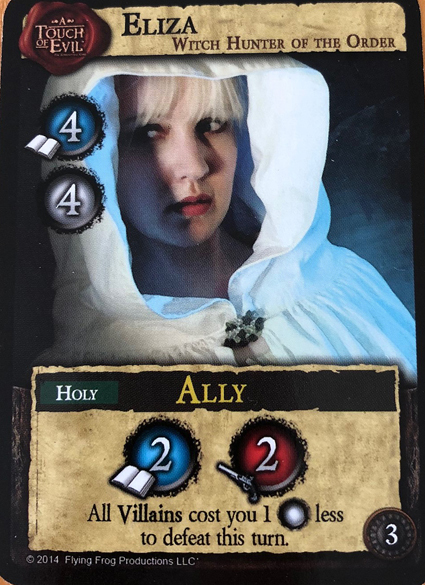 I don't know if that was what the games designers were thinking when they created the cards, or whether they realised there are plenty of pagan gamers out there who would be offended by cards depicting witches as evil. If it was either of those reasons, I'm happy. There are quite a few expansions for the game, which I do not own and haven't played. It is possible they do contain witch cards and I am going to try to find out. I'm also going to be blogging in future about how other games represent witches. You can view Dark Gothic on Amazon. It is published by Flying Frog Productions.